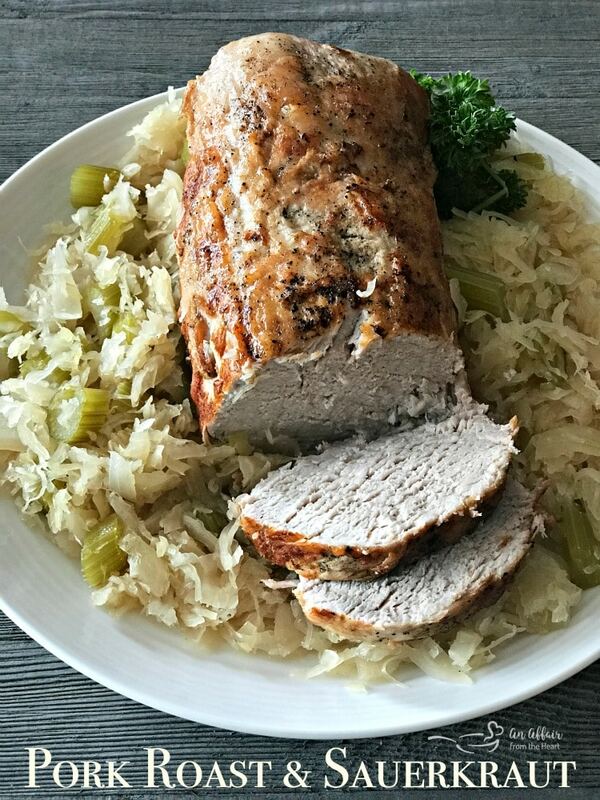 Perfectly roasted pork roast, sitting on a bed of Frank’s Kraut. Bringing the family together for decades. 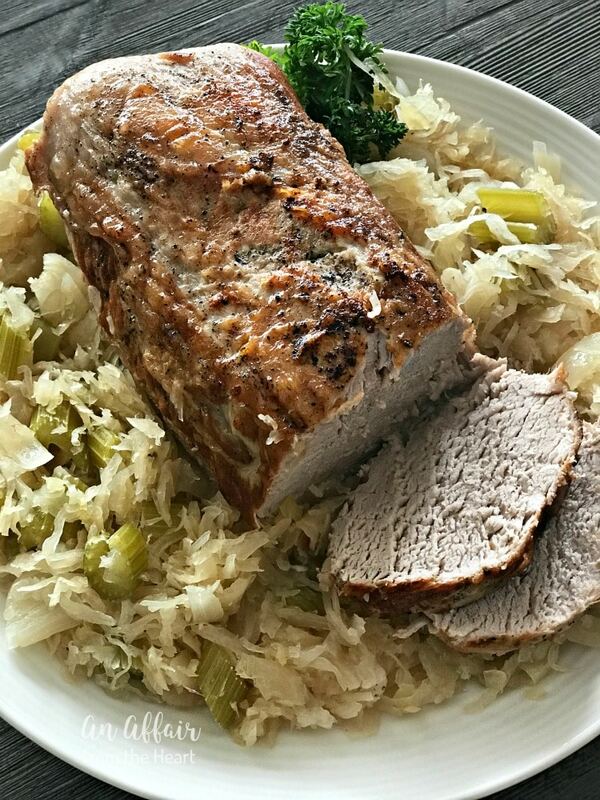 Doesn’t this Pork Roast & Sauerkraut just look like the perfect Sunday – Gather the family around the table – Kind of meal? National Family Week is the week of November 19-25, and Frank’s Kraut asked me to prepare a meal that would gather the family together. I think this gets the job done, don’t you? National Family Week originated in Canada in 1985, and is celebrated the week before Thanksgiving. National Family Week in the United States takes place the week of Thanksgiving. It was first proclaimed by Ronald Reagan on November 19, 1987. Thanksgiving can get chaotic, so maybe a new tradition would be to have a quiet meal at home with the family before the craziness of the holiday starts? 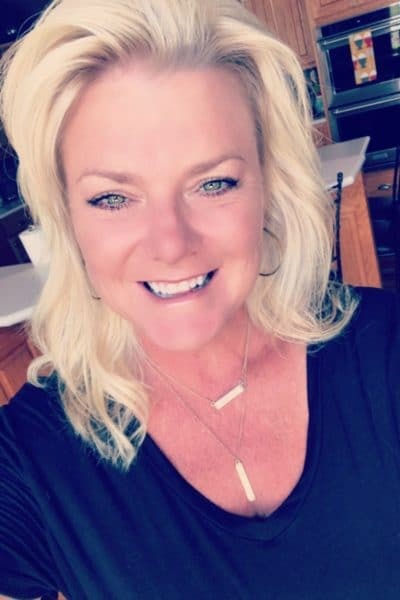 Gather them around a hot meal, time to connect and enjoy one another. The key to getting this roast super moist on the inside? Searing it before you begin the roasting process. Sprinkle the roast generously with salt and pepper, rub it in and brown the roast in your dutch oven in hot olive oil on all sides. After the roast is seared and nice and golden brown, remove it and clean out the bottom of the pan. Add sauerkraut, sprinkle with brown sugar, place the roast on top, and sprinkle the celery and onion around it. Cover the pan. Bake. Perfectly done, every single time. The flavor is AMAZING. Of course, how could it not be?? 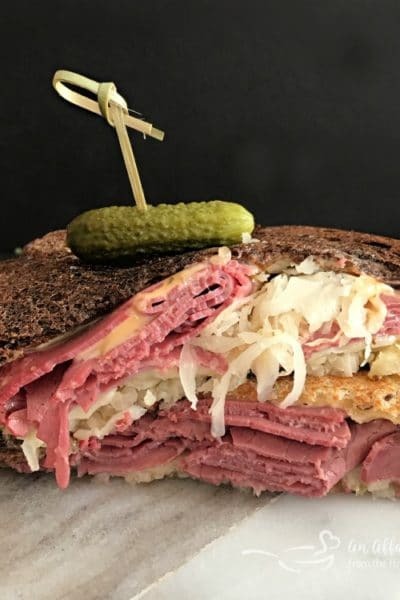 It’s using the BEST sauerkraut ever made! 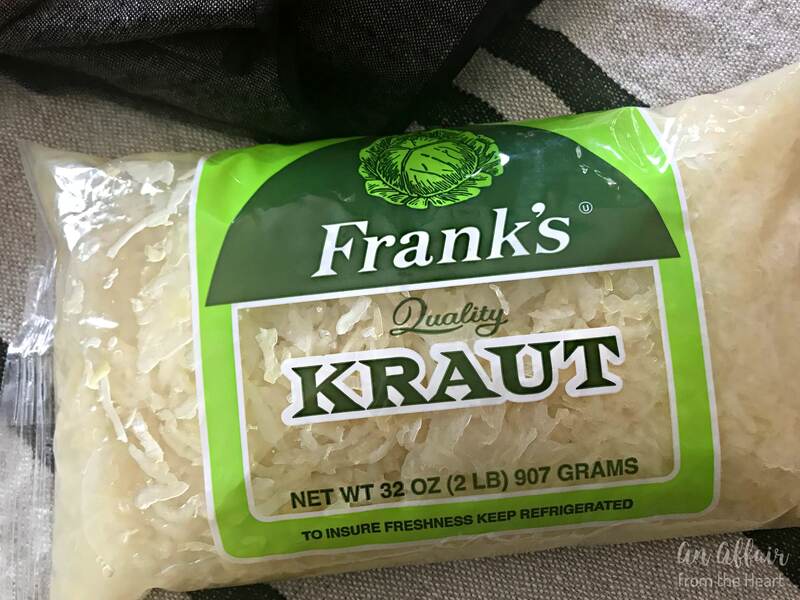 I grew up on Frank’s Kraut. It’s the only one my Mother and my Grandmother ever used. My heritage is Polish on my Mom’s side and Polish and German on my Dad’s. We ate a lot of sauerkraut! 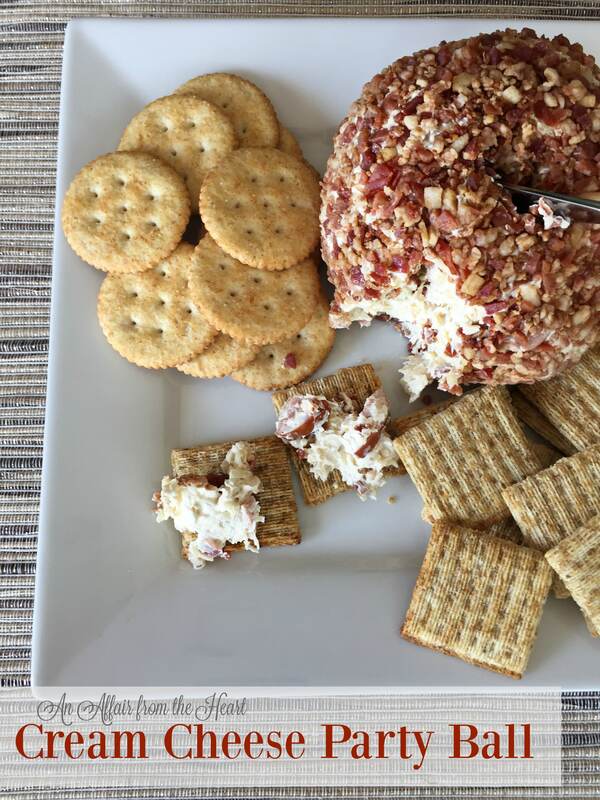 CREAM CHEESE PARTY BALL – Smooth cream cheese, smoky sausage and tangy sauerkraut, all rolled in real bacon. Serve on crackers. 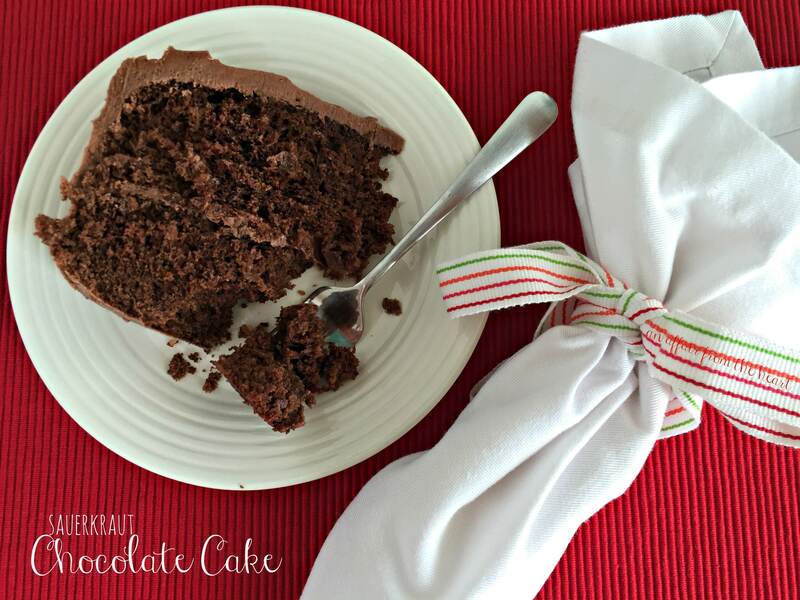 SAUERKRAUT CHOCOLATE CAKE – Dense, fudge-y chocolate cake made with sauerkraut – yes, sauerkraut -slathered in sour cream chocolate frosting. Best Chocolate cake I have ever eaten! SAUERKRAUT BALLS – Are you looking for a new appetizer? 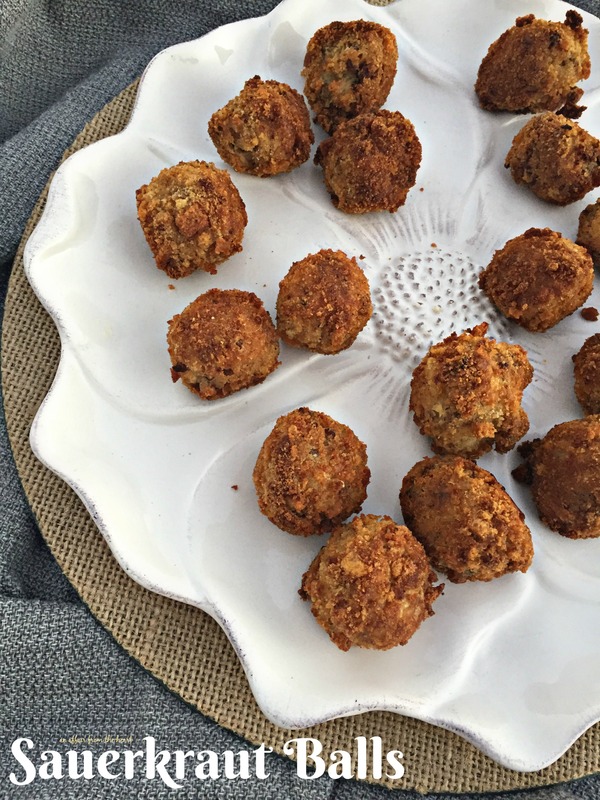 These Sauerkraut Balls are delicious, and even the “anti-kraut” guests will rave. 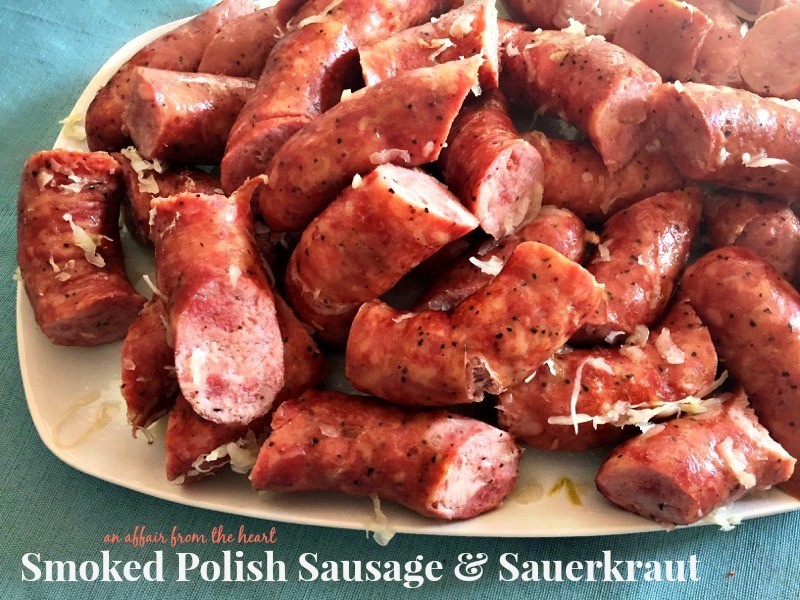 Made with bratwurst, cream cheese, spices and Frank’s Kraut. Rolled in bread crumbs and fried until crispy! I hope this one gathers your family around the table. Cherish those moments. Family is forever. 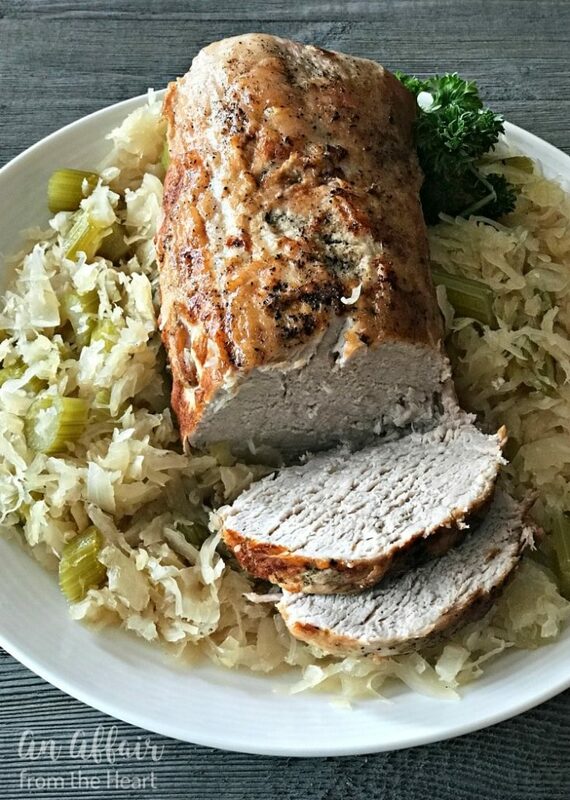 Perfectly roasted pork roast, sitting on a bed of Frank's Sauerkraut. Bringing the family together for decades. 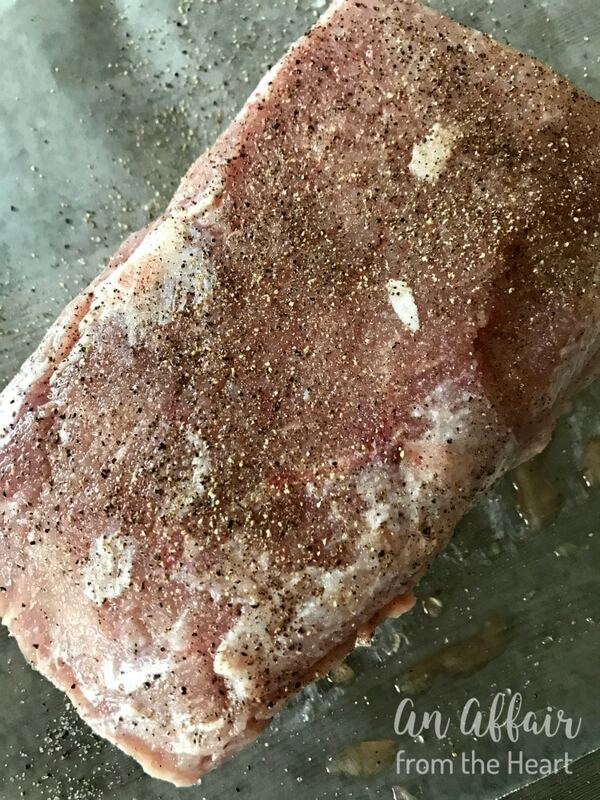 Rinse pork roast, and pat dry, generously sprinkle it with salt and pepper and rub in all over the roast. Coat the bottom of your dutch oven in a couple of Tablespoons of Olive oil, and place on the stove on Medium-High heat. Place roast in pan and sear on all sides until it's a nice golden brown. About 5 minutes per side. (Don't forget the ends!) Remove roast and set aside while you clean the bottom of the pan out. Getting rid of the little burnt bits and excess oil. Place the sauerkraut, with all of the liquid in the bottom of the dutch oven and sprinkle with brown sugar. Place the roast in the middle. Sprinkle onions and celery around the roast. Cover and bake 20 minutes per pound. 60 Minutes for a three pound roast. Roast should meet an internal temperature of 150 degrees. Remove from oven, let stand for 10 minutes before slicing. When I saw a teenager my summer job was working at a kraut packaging plant. You’d think I’d hate it, but no! 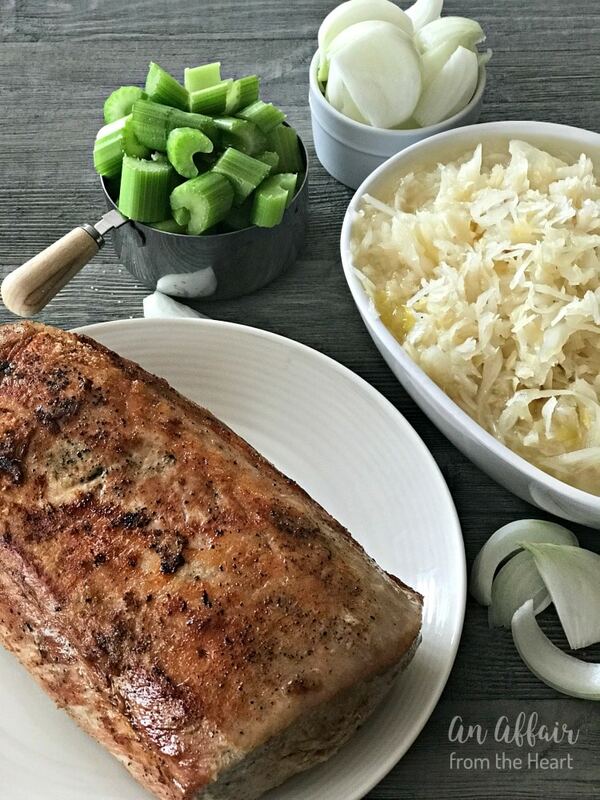 I can only imagine what a wonderful combination this is – that tang of the kraut perfect pairs with the deliciously grilled pork! They do go hand in hand! This looks a fantastic meal!!! I love the pairing of kraut and pork. 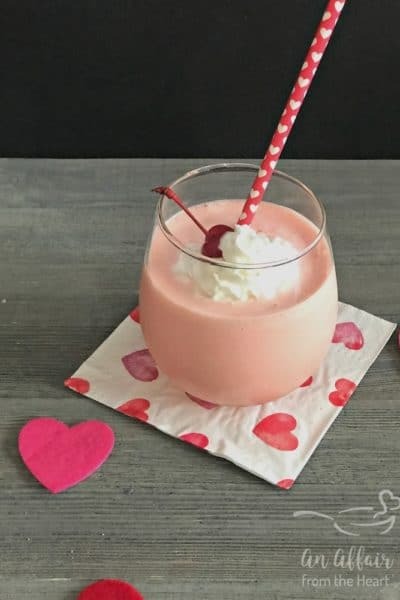 Definitely going to be making this soon! 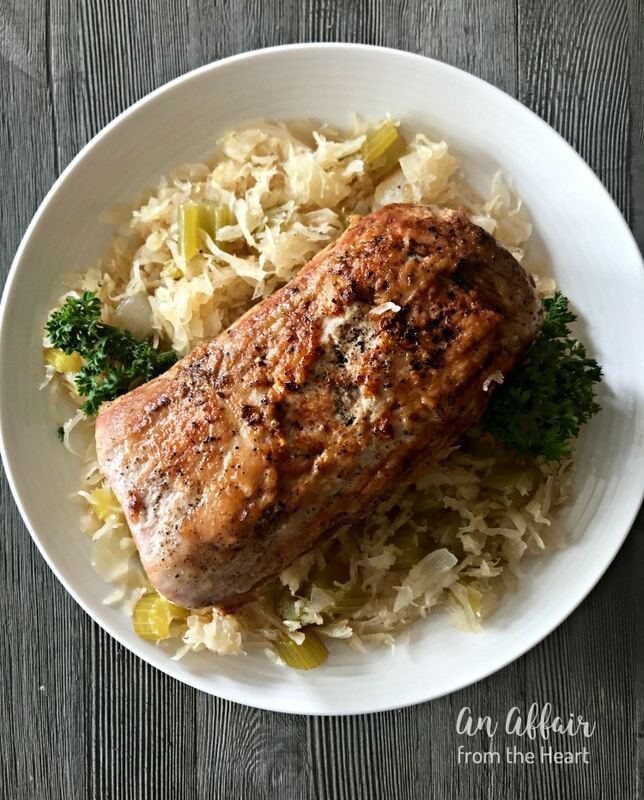 This is one tasty way to add sauerkraut to our diets, It’s soooo good for us. Can’t wait to try this complete meal! 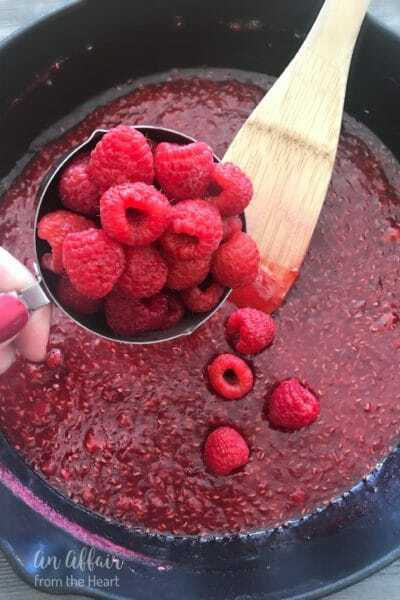 A perfect combination of flavors will definitely be a favorite in my house! I love a good pork roast!! When I would make them for church I would soak them all day in salt water or orange juice and they turned out moist every time! I like to eat mine with kraut even though no one at church. That just meant more for me! Sauerkraut is the best! 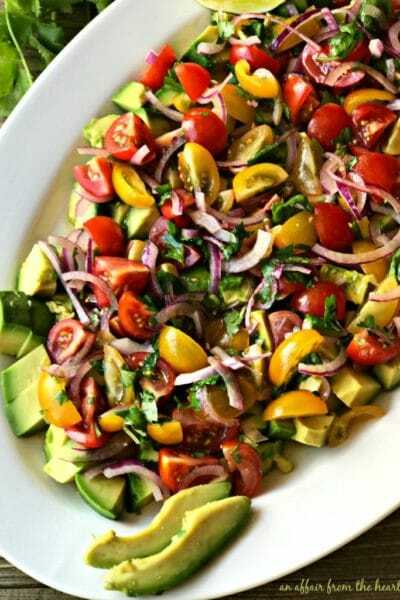 I need to make this for dinner! 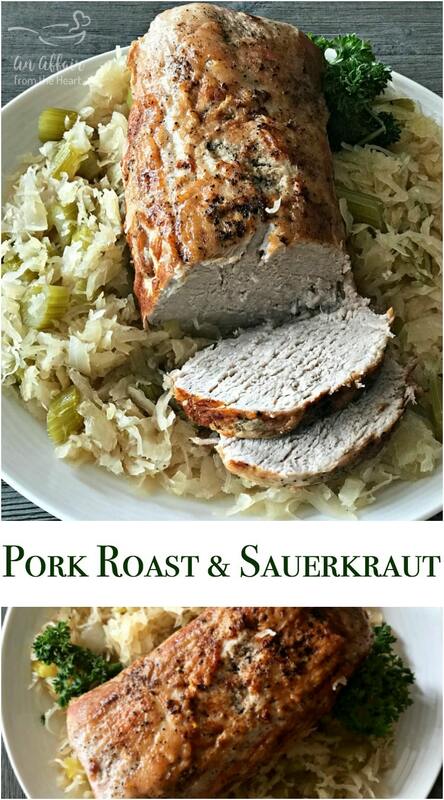 I grew up eating sauerkraut with pork and it’s like a match made in heaven. I’m just drooling looking at that platter. It looks like the perfect Sunday dinner to me! 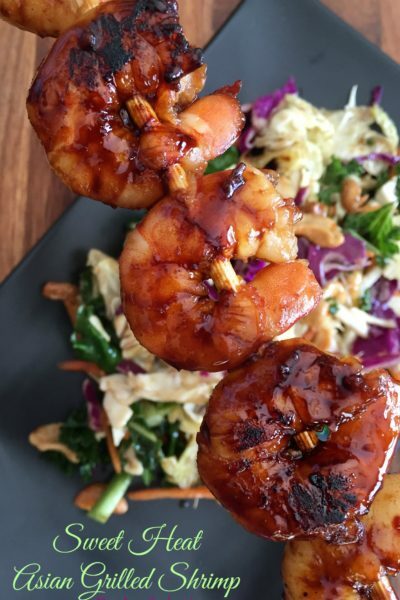 I’ve said it before, and I’ll say it again… This looks like the perfect meal to me! So good!